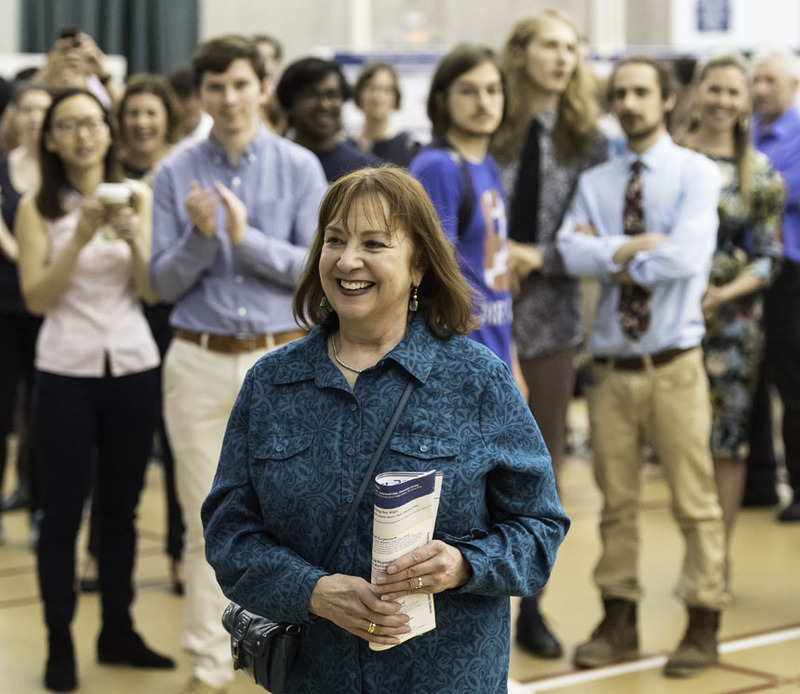 Taimi Marple, undergraduate coordinator for the Department of Biomedical Engineering, “is typically the first person our prospective undergraduate students meet and the last person our seniors say a heartfelt goodbye to at Commencement,” says BME Department Chair Diane Dalecki. As Undergraduate Coordinator for BME, Taimi is the key administrator for all issues related to our undergraduate students and curriculum. She serves as the administrator for the BME Undergraduate Committee (chaired by Professor Amy Lerner) and the BME ABET Committee chaired by Professor Steve McAleavey). Her knowledge of undergraduate courses, degree requirements, AS&E enrichment programs, and the broader university is superb. Taimi has been with the University of Rochester for over 25 years. She succeeded Dottie Welch as the BME undergraduate administrator in 2013. Previously, she was a graduate administrator for the Department of Pathology/URMC for nearly 10 years, and also served as an editorial associate for the journal Neurology and the managing editor for the International Journal of Radiation Oncology Biology Physics for 17 years. Taimi received her M.S. in Higher Education Administration from the University of Rochester in 2011 and her B.S. in English from SUNY Brockport.